Don Hoyle was installed as Grand Knight of the Knights of Columbus, St. Thomas Parish, Lenoir City, Tennessee on July 23rd by District Deputy Dan Hanley. Don had served as Deputy Grand Knight and program chairman prior to being elected Grand Knight. He joined the Father John Savoca Council 12633 in 2011 and became a fourth degree brother in 2012. “Teamwork makes our Dream Work” is the 2015-2016 theme of the Tennessee Knights of Columbus. This theme was reflected in Don’s acceptance remarks as he challenged the council to implement the aggressive agenda detailed within the council program. He echoed the words of our State Deputy by reminding the Knights that they have the opportunity to do God’s work in the Home, Parish and Community. 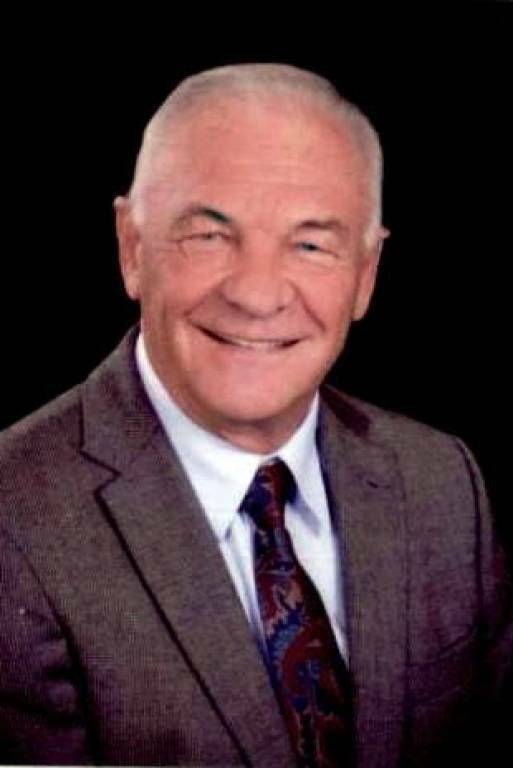 Since retiring in 2005 from the United States Air Force plus government service and moving to Tellico Village, he has been a very active member of St. Thomas the Apostle Parish. He worked as the chairperson of the 2010 Fall Festival. He is a charter member of the Veteran’s Committee. He has conducted Memorial Day and Veteran’s Day ceremonies within the parish. In 2013, he co-chaired the parish picnic and in 2014 the inaugural parish casino night. Don is a graduate of Capital University, Columbus, Ohio with a bachelor’s degree in public administration. He received a master’s degree in aeronautical science from Embry-Riddle University, Daytona Beach, Florida. He is a graduate in program management from the Defense Systems Management College, located at Fort Belvoir, VA. He completed Hammer and Company's Process curriculum becoming a Process Master. This school is located in Cambridge, MA. He married his wife, Mary, in 1980. They have four children; Patti and her husband John, Dawn and her husband Tim, Ken and his wife Laura and Rob and his wife Marlene. They have been further blessed with eight grandchildren: Jessica, 28; Jeremy and Kristina, 27 years old; Kevin age 22; Nicole is 20; Michael and Emilee are 19; and Marilee who is 17 years old. 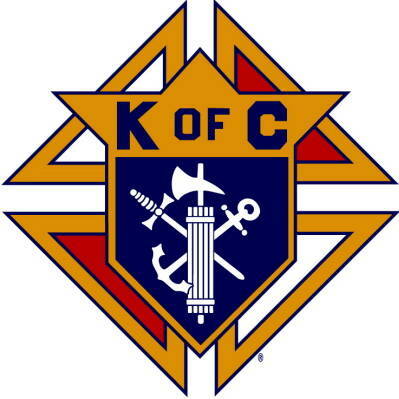 The Knights of Columbus is the world's largest lay Catholic family service organization. As their forebears did more than a century ago, today's Knights and their families stand shoulder to shoulder in support of one another. Through their charity and their examples of their lives, they stand in service to all as witnesses to the Good News of the Gospel. But just who are we? We are your friends, neighbors and fellow parishioners. We sit next to you at mass; serve as Eucharistic ministers, cantors, lectors, religious education teachers, and in many other behind the scenes ways. We mow grass, provide transportation for parishioners, visit the sick and disabled, and serve on various parish committees. We raise money for several important projects, including assistance to the mentally challenged, in support of our youth programs, debt reduction for the parish, facilities support, and support for seminarians. We work at most parish functions including picnics, parties, dinners and celebrations. We support the Catholic Church through support to others. We believe we can accomplish more as unified Catholic men than we can as individuals. The Father John Savoca Council of approximately 170 members provides service to our families, our church and our community. We provide leadership and funding for the parish Boy Scout troop and Cub Scout pack. We host family events and fundraisers such as the monthly pancake breakfast, bus trips to Smokies' baseball games, spaghetti suppers, chili dinners, the St. Patrick's Day dinner, wine tastings and selling Christmas cards. We sponsor K of C free throw and soccer kick contests for Loudon youth. The Knights also give time, talent and treasure to community projects such as the K of C Mental Retardation Drive, Habitat for Humanity, our Hispanic community, and hot meals for shut-ins throughout the year and at Thanksgiving and Christmas. We provide financial support for diocesan seminarians, participate in Pro-Life events and Eucharistic Adoration. In brief, we are an important and active part of St. Thomas parish life. Who can become a Knight of Columbus? Any Catholic gentleman who is in good standing with the Church and is over 18-yrs of age is eligible for membership. For more information and/or a membership form, contact SK Jerry Dougherty at 865-458-4117. Do you need additional Information about the Knights here at St Thomas the Apostle Catholic Church? Go to our website at www.kofc12633.org and feel free to explore; if you select an area that’s restricted to Knights only you will be presented with a sign-in window, but continue exploring in other sections of the site. The Pope John Paul Assembly #2920 of the Knights of Columbus consists of Knights from three parishes in the Diocese of Knoxville (St. Thomas the Apostle in Lenoir City, St. Joseph the Worker in Madisonville, and Our Lady of Fatima in Maryville). The 4th Degree is the face of the Knights of Columbus. Our main principle is Patriotism. You have probably seen 4th Degree Knights serving as honor guard for the bishop, standing honor guard at wakes and funerals for deceased Knights, or in various neighborhoods parades and ceremonies.